*1 Check the vehicle identification number on the vehicle identification number plate. Refer to Vehicle Identification Number on . 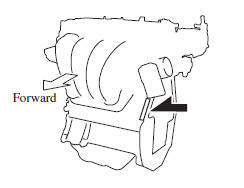 Open the cover shown in the figure to check the chassis number.